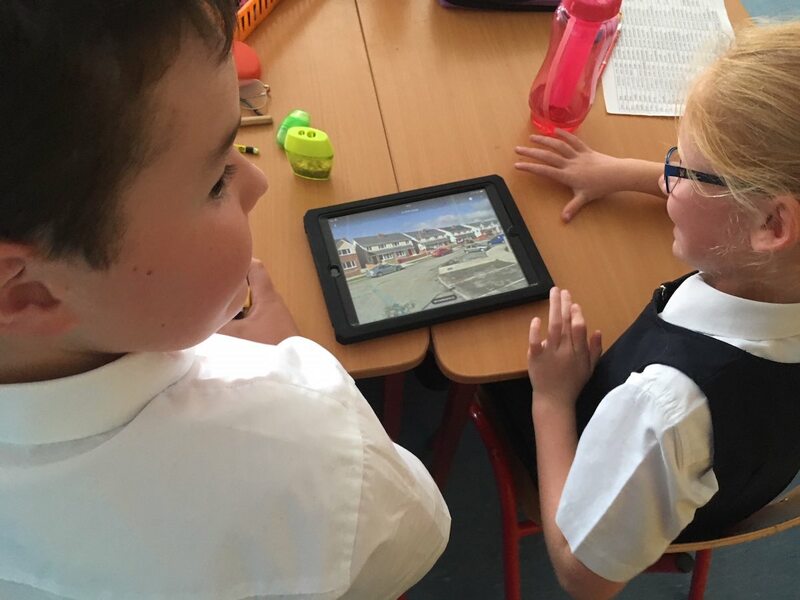 Ms Liddy’s second class have been learning about their local area. They looked at local landmarks on the Interactive Whiteboard using Google Maps. They estimated the walking time to the playground and other places and compared it to Google Maps estimate. The children then worked in pairs using the school iPads. They typed in their addresses on Google Maps and found their own house. They compared the appearance of their house and neighbourhood on Google Maps with how it looks now.